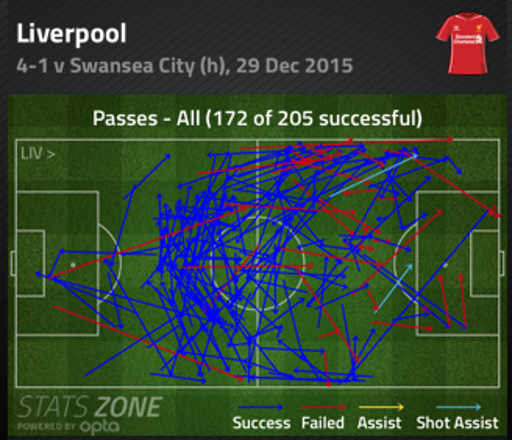 It's probably been a while since we were so comprehensively outplayed. 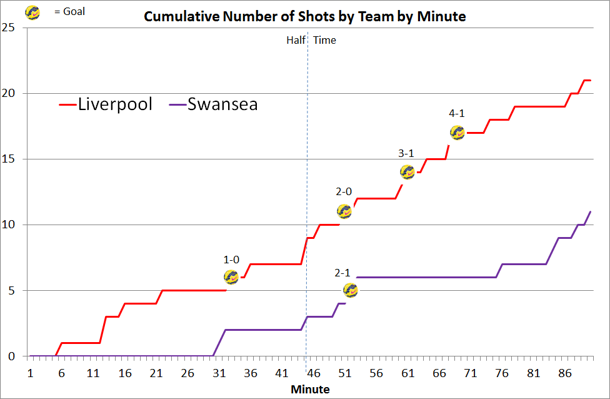 Although it looked as if we'd weathered the first half hour with just a few minor scares, Liverpool's pummelling of the Swansea right eventually paid dividends for them. 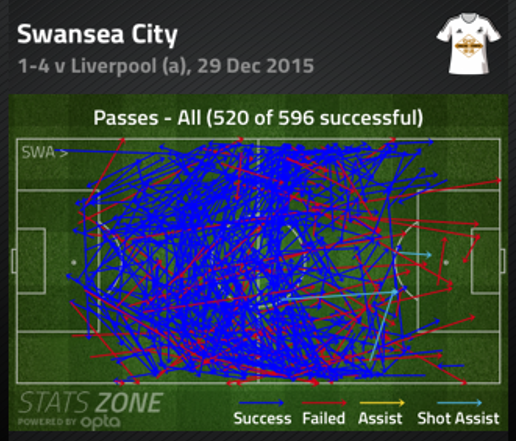 Swansea ended up with 56% possession but this was certainly one of those cases where the statistic is misleading, yes Swansea made a lot of passes but most were sideways around the middle third. There's no problem with this when you're looking to control a game, but shouldn't be seen as any sort of consolation if you're behind for the majority of the match. Right everyone relax your batty's!